Target: 100% CO2 neutral by 2020. RES: District heating system, biomass energy, and solar thermal and photovoltaic panels on all roofs. 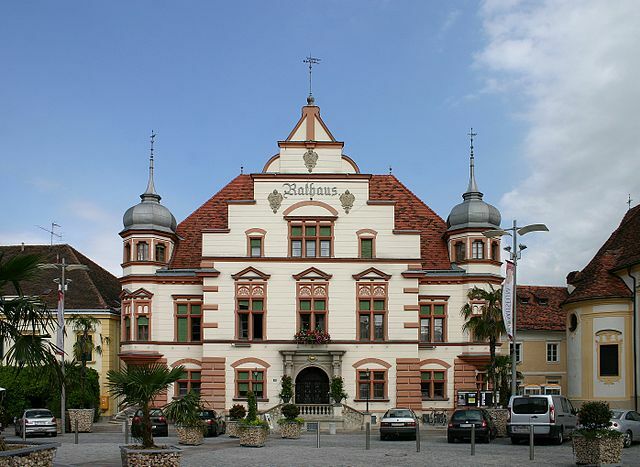 Implementation: The city of Hartberg in Austria has set a 100% CO2-neutral target to include all buildings, industry as well as private households. The target is based on the CO2-neutral concept, elaborated by Joanneum Research, which had shown that a non-carbon society is not only necessary to mitigate climate change, but can also be extremely beneficial in terms of local added value. For the past 20 years, several measures have been implemented by the city. In 2015, many important milestones were achieved, including supplying heat to all buildings through a district heating system that runs on woodchips, purchasing only renewable electricity from hydro-, wind- and solar power stations, installing as much solar-thermal energy as possible and covering all available roof-surfaces with photovoltaic-cells. The involvement of different stakeholders was instrumental in Hartberg's success. Discussions were extensive and included private individuals, universities, energy experts, car-sharing providers, e-car pioneers, biogas pioneers, and so forth. However the most important partners in such a project were the local politicians, the local authorities, the district heating supplier and a local utility company.